The 35th running of the Hopeful Stakes will be held on Friday, Dec. 28th and it is a 2,000 meter inner turf event at Nakayama Racecourse. Saturnalia : A half brother to Epiphaneia (2012 race winner and 2014 Japan Cup winner), Saturnalia has started his career with two wins from two starts, the latest being the Hagi Stakes over 1,800 meters at Kyoto in October. He also notched a good win on his debut over a mile at Hanshin in June. The Lord Kanaloa colt is highly regarded at the stable of trainer Kazuya Nakatake. “He came back to the stable at the beginning of this month from Northern Farm Shigaraki. He’s just a 2-year-old, so a little playful. In recent work, the woodchip course was a little heavy, but it didn’t matter at all, and he ran very well. 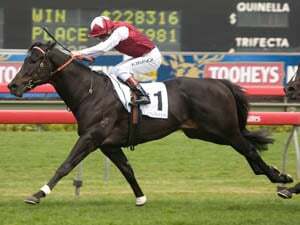 He gets his power from his hindquarters and seems different to other horses,” said assistant trainer Yasuyuki Tsujino. Nishino Daisy : The Harbinger colt has already won two Grade 3 races, including his latest race, the Tokyo Sports Hai Nisai Stakes over 1,800 meters in November. He started eighth in the betting that day, taking a few people by surprise. 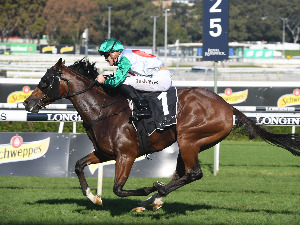 His trainer, Noboru Takagi, said, “There wasn’t a horse that really wanted to go on in that race, but he bided his time and didn’t get irritated. Overall it was a good win with some strong horses in the race.” Trained at Miho Training Center, Nishino Daisy clocked a five furlong time of 67.9 seconds on the woodchip course on Dec. 20, with a final furlong time of 12.7 seconds. “His movement is good and he’s in great shape. He’s run in Sapporo, and I think he’ll be suited to Nakayama,” the trainer said. Admire Justa : An expensive purchase at the 2016 Select Sale, Admire Justa has already proved his price tag might not be that high. A two-time winner from three starts (he finished second in his other race on his debut in June), the powerful colt weighs in at around 500kg, and is coming off a win in the Shigiku Sho last time, over 2,000 meters at Kyoto in October. The Just a Way colt was bred at Northern Farm and is trained by Naosuke Sugai. Jockey Christophe Lemaire has partnered the horse twice already and is expected to take the ride on Friday. Breaking Dawn : Trainer Kazuya Nakatake has another possible runner in the well-bred colt, Breaking Dawn. The trainer is currently in second spot in the trainers’ table, and amazingly he only has one Grade 1 victory to his name, that being Jo Cappuccino in the NHK Mile Cup back in 2009. 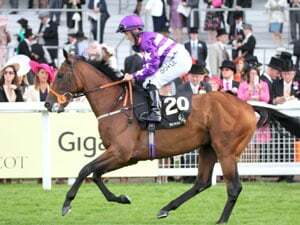 Breaking Dawn is by Victoire Pisa, and has just had the two starts, winning on his debut at Hanshin over 1,800 meters in June, and then finishing second in the Grade 3 Radio Nikkei Hai Kyoto Nisai Stakes over 2,000 meters in November. The colt is expected to be ridden by this year’s Derby winning jockey, Yuichi Fukunaga. Mikki Black : The Black Tide colt is two wins from three starts, and one of his wins came over the course and distance of the Hopeful Stakes, when he won the Open Class Fuyo Stakes two starts ago in September. 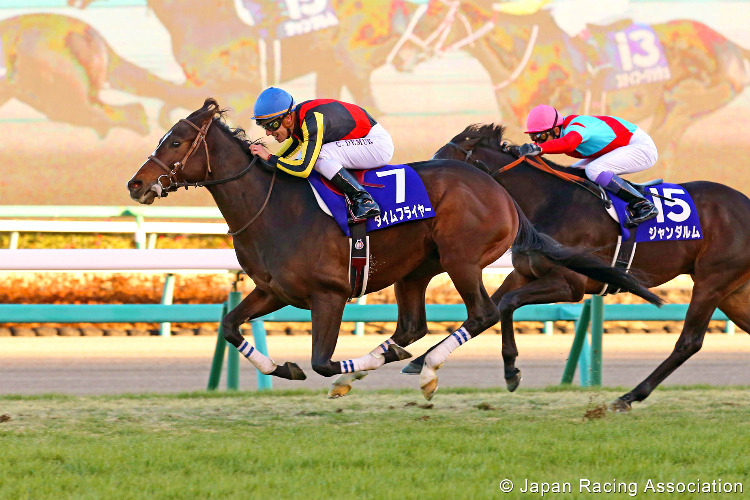 He finished fourth most recently over 2,000 meters in the Grade 3 Radio Nikkei Hai Kyoto Nisai Stakes. Visiting jockey Oisin Murphy, who notched a double at Nakayama last Saturday, is lined up for the ride. 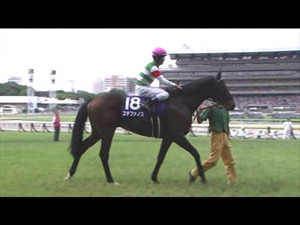 Vin De Garde : Racing in the Shadai Race Horse Co. Ltd. colors, the Deep Impact colt made his debut just in September, when he won at Hanshin over 1,600 meters. In his only other race, he finished third to Nishino Daisy in the Grade 3 Tokyo Sports Hai Nisai Stakes over 1,800 meters in November. He might not be the biggest of horses, but he packs a punch. He’s trained by leading trainer, Hideaki Fujiwara, and Cristian Demuro is expected to ride him again this time.